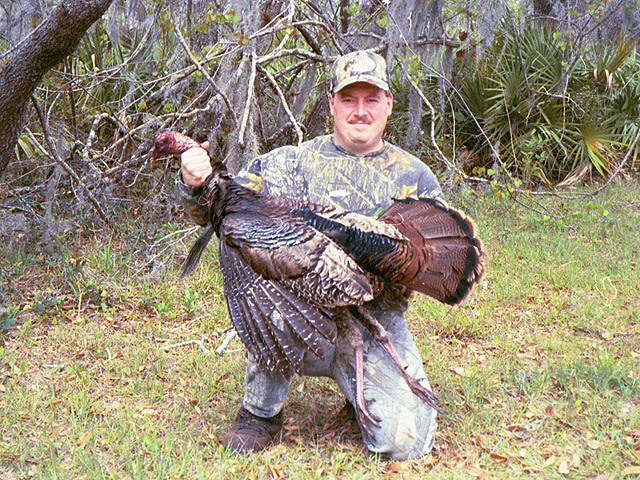 Hunt South Florida with one of the premier Osceola outfitters. These folks have excellent properties and know how to hunt these elusive birds. You will have your own guide but can choose to do your own calling if you prefer. This is a 4 day hunt which increases the odds that you will get your turkey and have time to go after a wild hog if you desire. 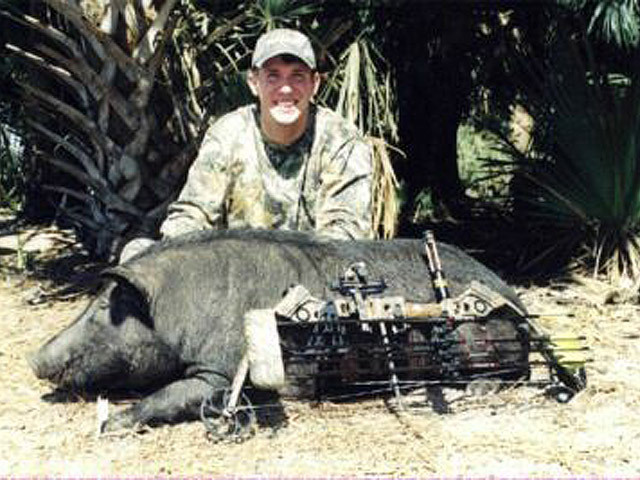 Hunters are allowed to kill one hog and are required to take the meat home with them. 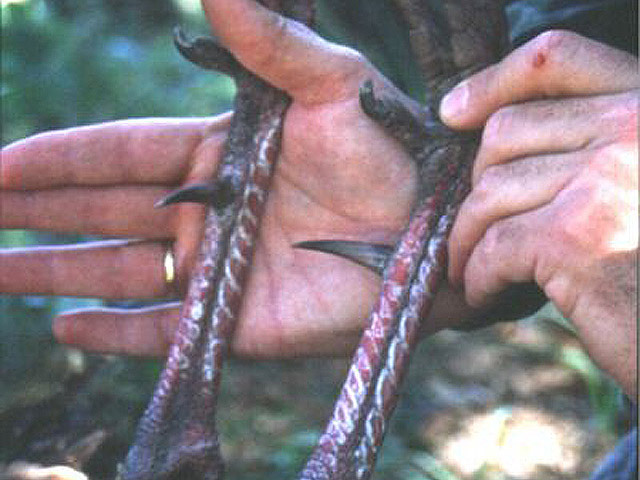 Past success rates hover near 100% for both turkeys and hogs on the guided hunt. Only adult gobblers may be taken. There is also a wound policy on turkeys - if you wound a turkey, your hunt is over. Includes: meals, 4 nights lodging (private bathrooms), 1×1 guiding, skinning and quartering of hog. Hunters arrive on the evening before the hunt and depart in the evening of the final day of the hunt. Limited hunts are conducted in the southern zone from the first Saturday in March until mid-March. The majority of their hunts are in the central zone from the third Saturday in March until the third Sunday in April. 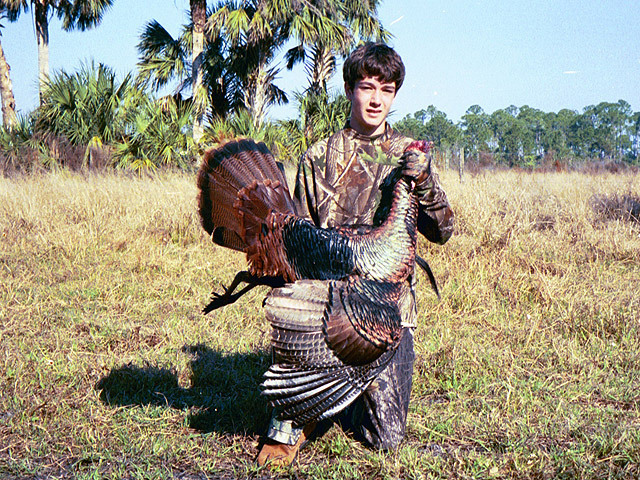 All day hunting is permitted in Florida on private land. Hunter’s Safety Education card required if born after June 1, 1975. 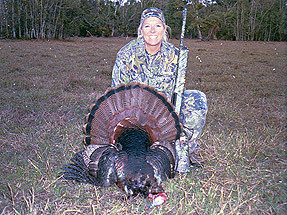 License cost is $46.50 for a 10 day hunting license and $125 for a turkey license.